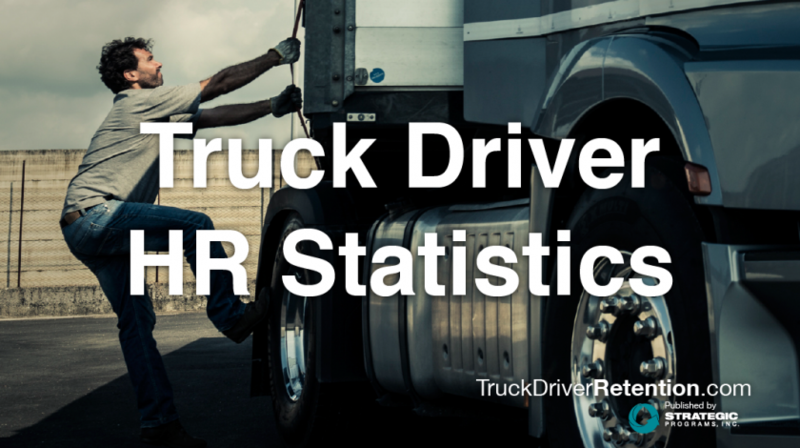 It’s no surprise to anyone in the trucking industry that the demand for drivers remains strong, with Fleet Owner quantifying the problem at the end of 2014 with a story about driver shortages hovering around 30,000. A competitive job environment means there’s plenty of opportunities for to go elsewhere if they’re not happy, which is why keeping turnover at bay is an important component to any trucking company’s success. That’s where driver surveys come in. While many companies might think of surveys strictly as exit interviews, more savvy leaders understand that by gathering the opinions and thoughts of the current workforce, the company can respond to an issue before it becomes a problem. Megan Younkin, one of our Strategic Programs, Inc. consultants, explains how surveys include drivers across the entire lifecycle, including new hires, long-time employees, and those who are exiting, to get a crystal clear picture of the workforce environment. From those surveys, they design customized assessments for individuals and organizations, implementing data-driven action plans, and measuring results. Survey methodology has helped numerous trucking companies in their journey from good to great, by informing them of how employees truly feel about the company and what can be done to improve recruiting and retention. When it comes to process improvement, a survey can be a company’s best friend. Our survey aims to find an item where people are dissatisfied, look at all the processes involved and discover why it isn’t working and how a company can best create a solution. 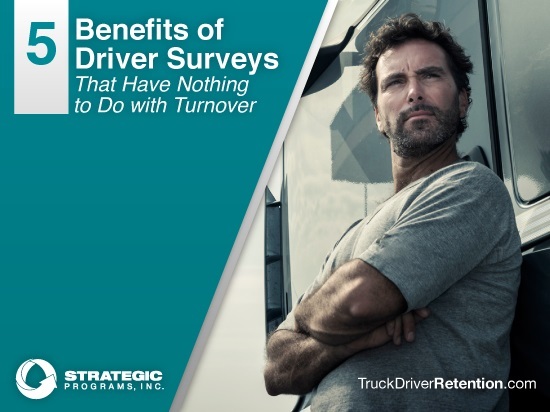 For example, recently, a trucking company called on Strategic Programs’ services to conduct a current driver engagement survey and one of its chief findings was that drivers felt they weren’t being recognized or appreciated for the work they were doing. Based on the feedback, now the company aims to recognize at least 10 drivers a week who go above and beyond what they should be doing. Many companies only review driver performance when there is a problem, but a smart strategy would be to hold regular and frequent performance evaluations and be focused on recognition and continuous improvement. While financial rewards are always nice, trucking companies must consider a wider range of factors to keep qualified drivers happy and contributing to the fleet. Anyone who’s ever read an exit interview knows that they are usually full of complaints and issues with the company, but Younkin says that sometimes those can be very personal and it’s important to distinguish the problems of one vs. the many. That’s why surveys given to current workers and long-time employees often work better in discovering what problems drivers really have and what’s getting them upset. That in turn could lead someone to eventually return, and companies can see a decent amount of savings if they can bring someone back on board rather than hiring someone new. Biopsychology research says that if you increase engagement, it will increase safety and decrease absenteeism. That’s just another reason to survey employees. “We don’t survey for driver performance per se, but what we have done and are likely to do more of, is get metrics from organizations on safety and on performance, and overlay those with their levels of engagement and show how highly-engaged people are more productive and safer,” Younkin says. Exit surveys are a mixture of 50-60 quantitative questions using a scale of 1-5 (strongly agree to strongly disagree) and questions where people can use their own words to describe their thoughts and feelings about everything from the climate to moral, to their immediate supervisor to training and career development. The end result? Surveys and other forms of workforce intelligence offer a wide breadth of benefits for trucking companies. In organizations where drivers make up the majority of the workforce, timely input from throughout the organization is key to building a more profitable operation and identifying issues before they become a problem.